“Access to reliable diet and exercise routines is now easier with the myDNA Pro mobile app. 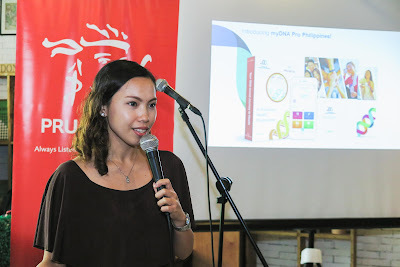 This innovative tool helps people who are determined to achieve their wellness goals to stay well-informed and motivated,” says Allan Tumbaga, Senior Vice President and Chief Marketing Officer of Pru Life UK. “With the myDNA Pro Program, people can make the right choices regarding their health and take better charge of their future.” he added.